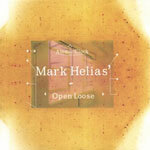 Bassist/Composer Mark Helias has been making innovative music since beginning his career in the mid seventies. He has enjoyed long musical associations with Edward Blackwell, Anthony Davis, Dewey Redman, Ray Anderson, Don Cherry and Gerry Hemingway. Eight albums of his music have been released since 1984, including Split Image, The Current Set (1987), Desert Blue (1989) and Attack The Future, (1992) Loopin' the Cool (1995), Fictionary (1998), Come Ahead Back (1998) and New School (2001) Verbs of Will (2003). Mr. Helias had a seventeen year association with the great drummer Edward Blackwell, with whom he recorded two CDs. He has also collaborated for 26 years with Ray Anderson and Gerry Hemingway in the ensemble BassDrumBone. A prolific composer of small ensemble music he has composed music for short films and two feature films by director Jay Anania. All About Jazz musician pages are maintained by musicians, publicists and trusted members like you. Interested? 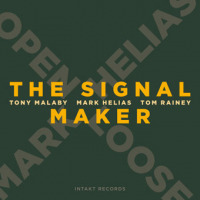 Tell us why you would like to improve the Mark Helias musician page.